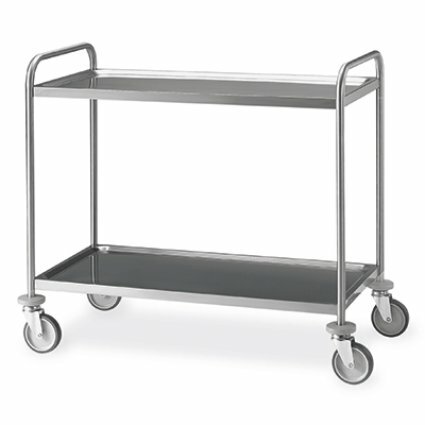 1400S is a service trolley with structure in stainless steel round tube (ø 2,5 cm, brushed finish). The shelves in stainless steel are tray-shaped with rounded surfaces, soundproofed and welded to the structure. Completely made in AISI 304 stainless steel.